Twenty thousand years ago, early humans painted primitive pictures on the walls of caves. One particular thing was absent: the color blue. It wasn’t until centuries later that the Egyptians used Lapis to develop their prized pigments. So rare and so expensive were these blue Egyptian dyes, only royalty could afford them. 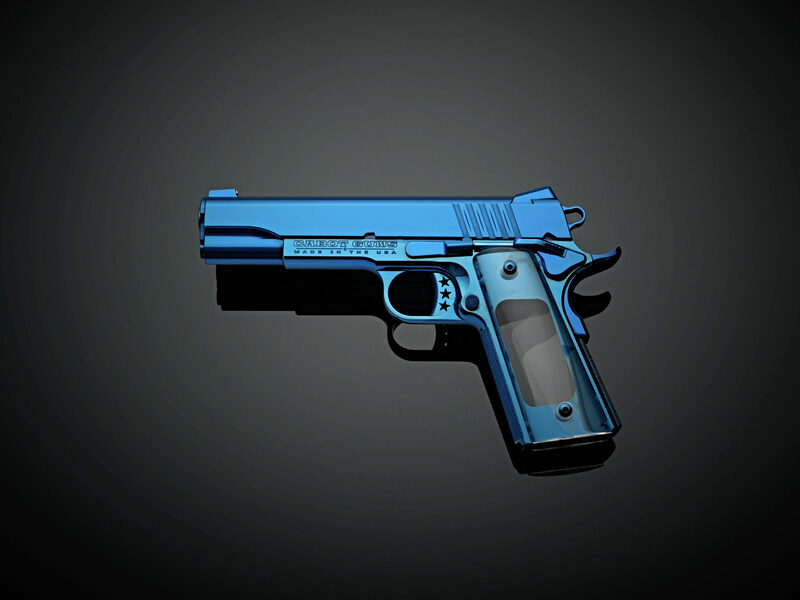 In this spirit, Cabot Guns is proud to display our Cabot Blue Limited Edition 1911 pistol collection. Sometime between the era of the Pharaohs and today, blue has become common. We have blue jeans, blue bells, blue birds and, of course, the cerulean expanse of the heavens above. Cabot, through a painstaking work of near-alchemy has transported us back to a time when blue is once again a truly royal hue. The Cabot Blue Limited Edition 1911 does not merely reflect the color blue – a pale imitation of the sky – the pigment literally inhabits each of these collector-grade pistols. 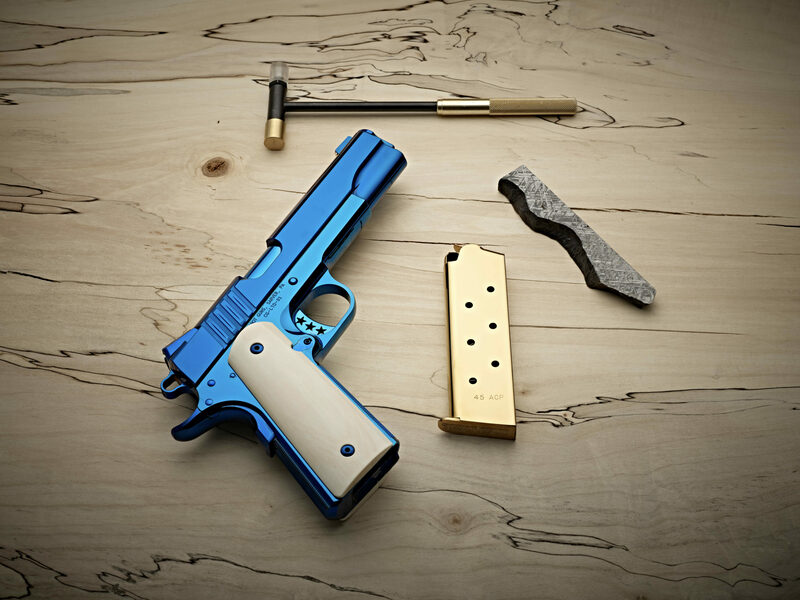 Cabot achieved this intricate feat through the painstaking process of vapor deposition, a technique by which atomized particles are bonded to the already perfect mirror finish of each pistol component. The result is, as one can see, magical. As one gazes longingly into the bottomless blue depths of the finish, remember that the aerospace-quality construction and hair-splitting tolerances for which Cabot are renowned make these collectibles a triumph of function as well as form. If you should happen to be one of the fortunate few who wrap their fingers around the modern Lucite grips, beware. The hypnotic power of mirrors has caused many a king and queen to lose themselves in idle reflection. Wielded wisely, a Cabot Blue Limited Edition pistol will deliver an enchanting experience for the mind and body, as well as the eye. The sheer effort required to produce these exquisite 1911s means the Cabot Blue is available only as a limited edition offering of ten pistols.